There are many uncalculatedly dramatic moments in the complex four-screen, high definition video work Watershed showing in the exhibition titled The Derwent. One of the most poignant occurs when the relative calm of the drifting vision of Tasmania’s Derwent River is disturbed by the noisy passing of a boat ferrying passengers to the Museum of Old and New Art (Mona). The wake rolls closer and the stillness is disrupted, and there’s even a moment of anxiety that everything might be upended and immersed. 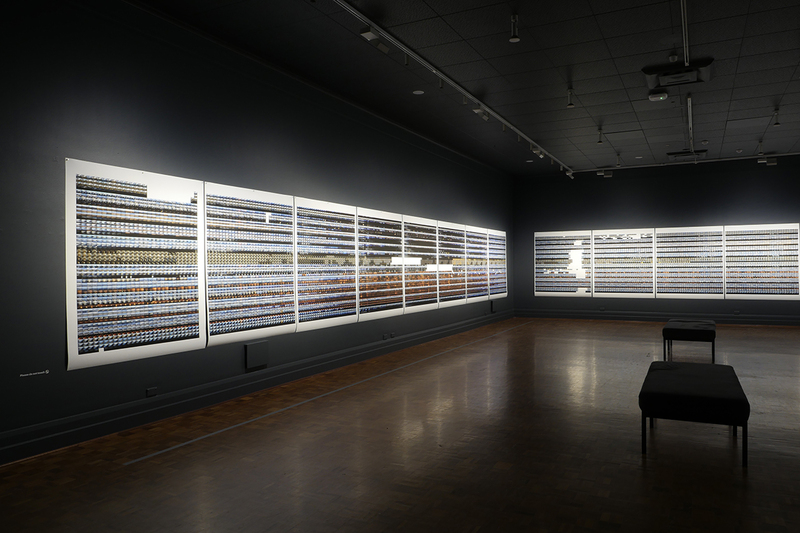 To read this moment as an unintentional metaphor for the museum’s impact upon Hobart is irresistible, but it also reveals something greater about The Derwent as a complex exhibition: this conglomerate of video work, IT creativity, static visual art and archival materials is a dissection of time and human impacts. Rivers are born of networks that flow from higher altitudes, linking mountain and plateau to the ocean. The Derwent River is one of the most distinctive geographical features of Hobart, and to some extent defines the city as much as kunanyi (the Indigenous name for Mt Wellington) beneath which the city nestles. Since 2011, local artists David Stephenson and Martin Walch have developed a project that documents and explores the Derwent, its many tributaries and the lakes that feed it. The resulting exhibition features three works by the pair, complemented by a selection of archival materials that grant glimpses of the Derwent over many decades. The first work, Time Slice (Derwent Time Lapse Array: 1/8/2015 – 31/7/2016) comprises visual data gathered at regular intervals over a year by 12 cameras placed along the river from the highlands to the estuary where the river becomes ocean. 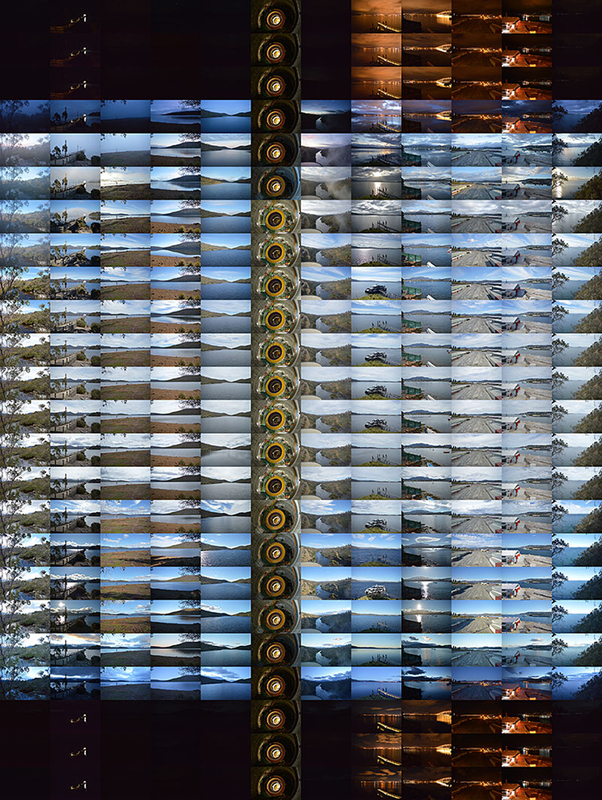 The cameras recorded every five minutes, resulting in a tsunami of over two million images that eventually became a 12-channel animation showing the passing of each day. Software was specifically written to facilitate this display, the whole thing running off a group of Raspberry Pi programmable devices. The outcome is time’s passing visualised as steady flowing digital molasses: the pixels ripple and crease as a year is truncated into 140 minutes that seem to speed up and slow down at the same instant; the pace of what we see is not hurried or frantic, and even has something calming about it. The second work, Matrix, also relies on the huge data trawl caught by the still cameras to create a series of print works that arrange the many images into grids, which end up resembling the periodic table itself; and it is fair to say that what is being displayed here are the elements that make up the work. These images hint at the scale of the data used and convey a symbolised vastness, making a neat parallel with Time Slice. The climax of the exhibition – and it certainly feels like one – is the four-screen work Watershed. This is where Stephenson and Walch did their hard yards, heading to inland regions of the river system and taking to the water on a portable raft that supported four cameras, each pointed in a different direction. It’s not that complex an idea, but its implementation must have been challenging. Still, the results do something that claims the word ‘immersive’ back from game developers and techno-fetishists. The captured images of water and land are spread out over the four screens, each shot allowed its own space. They’re not stitched together and editing decisions are minimal, yet something deeply engaging does emerge: that which surrounded the artists on location is flattened out in the gallery space and this simple manipulation gives an odd sense of hypnagogia (that space between sleeping and waking): what is clearly real becomes unreal, despite the high definition meticulousness of each image. 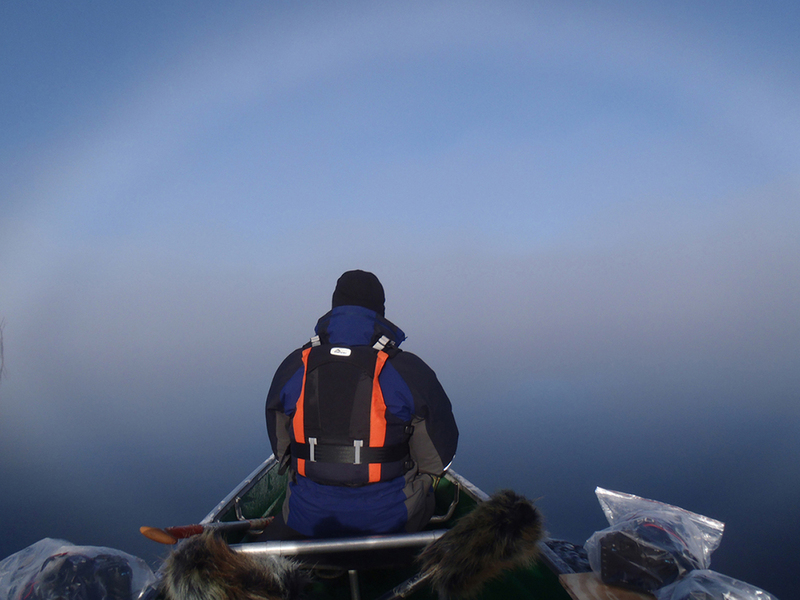 It’s the sheer beauty of the drift that draws you into the film, but what encourages you to stay for the 70-minute duration is the symbolic narrative that emerges. 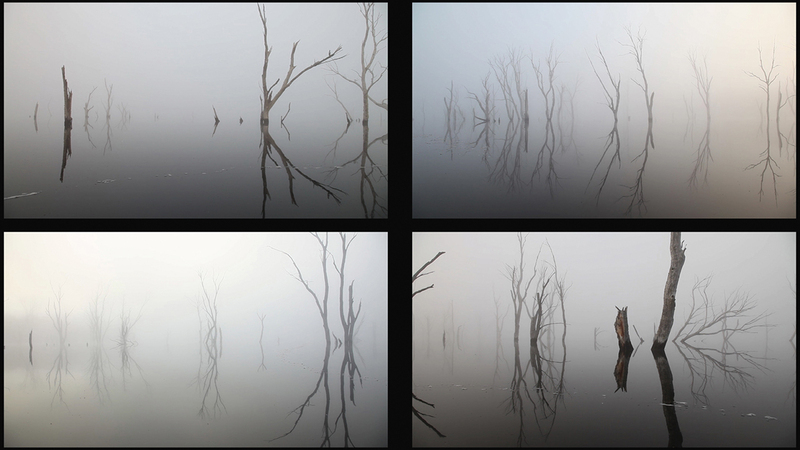 As the cameras meander across a foggy lake filled with stark, dead trees, the sense of being inside the vision grows. Further down the river system, more signs of humanity impinge and the story of change emerges: we see colonial housing, a paper pulp mill and a zinc manufacturing works, until the disruptive churn of the ferry breaks the spell. Time and place are manipulated in Watershed in a truly human way, making the vastness of nature accessible and inducing a sense of genuine wonder.